This page describes how to setup the Stripe.com add-on payment gateway, available here. Next, scroll down to where it says "Stripe Settings". Connect your account using the Connect with Stripe button. This will take you to the Stripe website where you can log into your existing account if you have one, or create a new account if you do not. Have questions about connecting with Stripe? See the documentation. The Stripe payment gateway can automatically detect refunded purchases in your Stripe account. When a refund is detected, the corresponding purchase in EDD is also marked as refunded. This payment gateway has complete support for the Recurring Payments extension. See the Recurring Payments Stripe set up documentation for configuration instructions. There are additional settings to configure below. Full address - This will result in a complete address form with street, city, country, state / province, and zip / postal code being displayed. Zip / Postal Code and Country only - This will result in a simplified address form being displayed that asks only for zip / postal code and country. No address fields - This will result in no address fields being displayed. Taxes note: if you have taxes enabled, only the full address option may be used as those fields are required for accurately calculating taxation amounts. Fraud note: collecting a full billing address can help reduce fraudulent charges. It is recommended that minimum zip / postal code and country be collected. Check this if you would like to preapprove payments but not charge until the payment status gets set to "Complete". If you choose this option, Stripe will not charge the customer right away after checkout, and the payment status will be set to "preapproved" in Easy Digital Downloads. You (as the admin) can then manually change the status to "Complete" by going to Dashboard → Downloads → Payment History → Find the payment in question and view it → C hange the status to "Complete" on the side of the screen under "Status". Once you change it to "Complete" the customer will be charged. Note that most typical stores will not need this option. 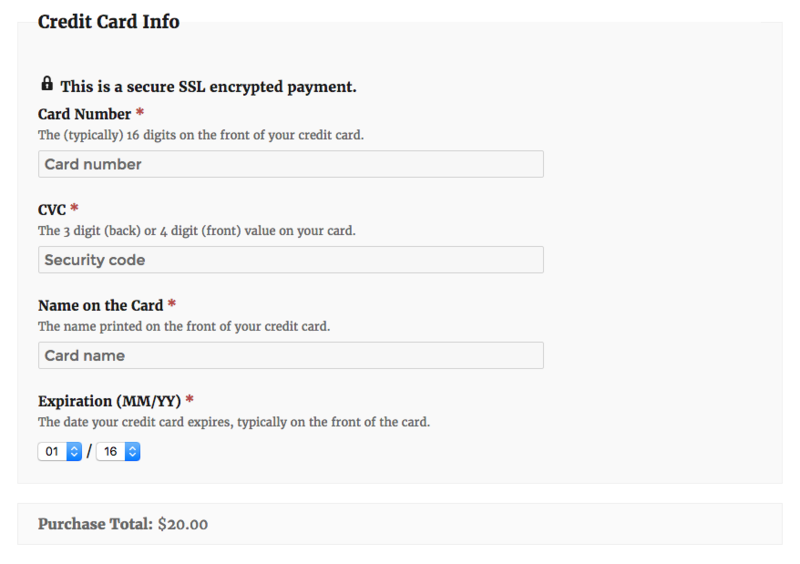 The standard, on-site credit card form shown in the main Easy Digital Downloads checkout form. 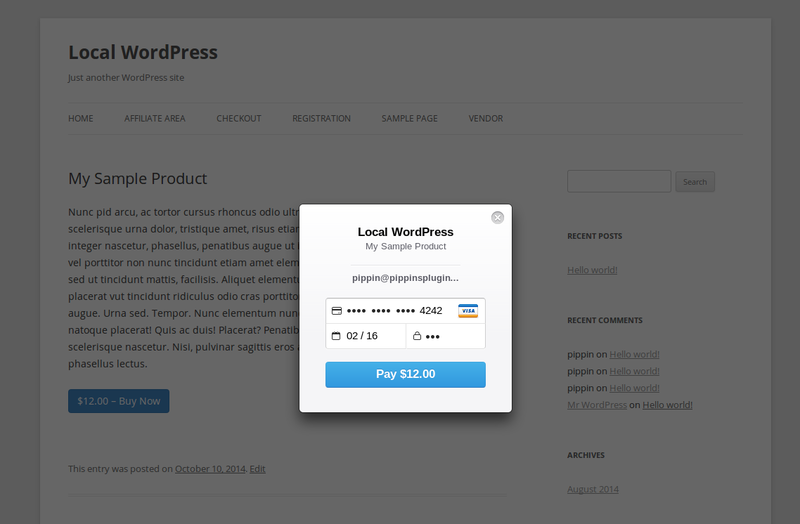 The modal payment window offered through Stripe called Stripe Checkout. Both options are fully supported and screenshots of what each looks like can be seen below. 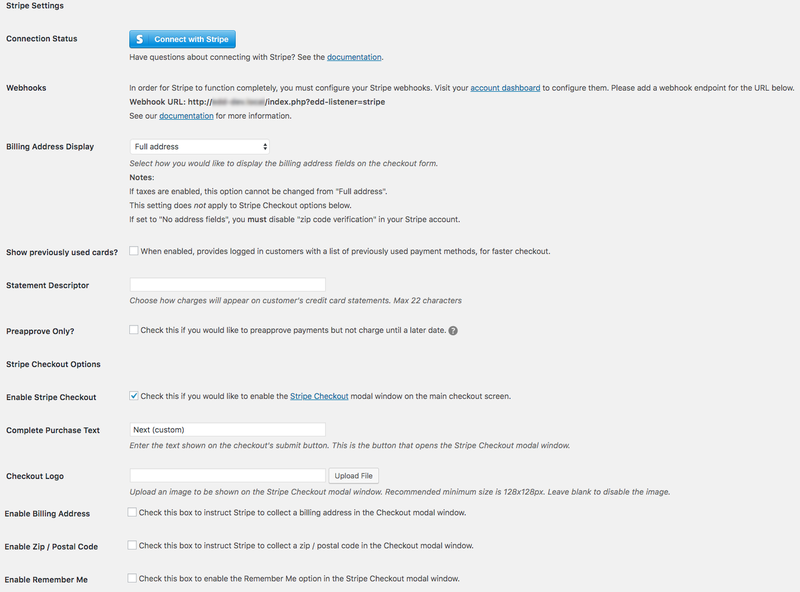 This option lets you enable / disable the Stripe Checkout modal on the main EDD checkout page. This option allows you to define the text that is shown on the checkout page's submit button when using Stripe Checkout. This is the button customer's click to open the Stripe Checkout payment window where they will enter their card details. Stripe Checkout can display a logo image at the top of the modal payment window. Upload the logo (if any) you would like displayed here. When using Stripe Checkout, the modal payment window can be configured to only ask for the card number, expiration date, and security code, or it can be set to also collect and validate the billing address for the card. If you would like to collect and validate the billing address (this is more secure), check this option. Once set to Buy Now purchase buttons for this product will automatically use the Stripe Checkout pop up. 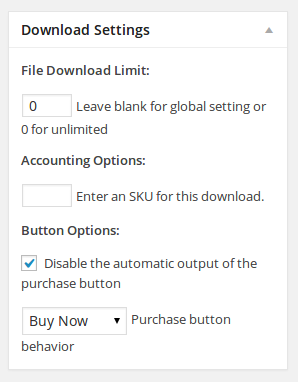 If you are using the [purchase_link] shortcode to add a purchase button to a page, simple add direct="true" to the shortcode to specify it as a Buy Now button. The Recurring Payments extension does not support the Stripe Checkout with Buy Now buttons even though the official Stripe Checkout docs say that Stripe Checkout itself supports recurring payments. 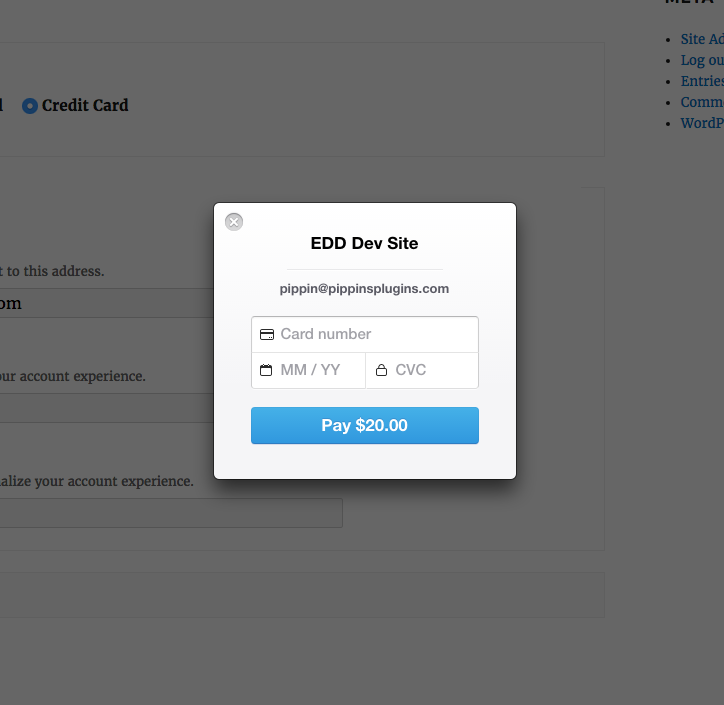 You can, however, use Stripe Checkout with Recurring Payments on the main EDD checkout page. In order for Stripe to work you must have the Multibyte String PHP extension installed on your server.